Next Batch: Due on the 30/04/2019. Delivery to customers within 10 working days of the 30th. 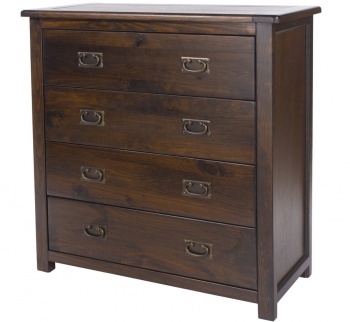 This wide drawer chest creates a large amount of storage and display space in your bedroom. 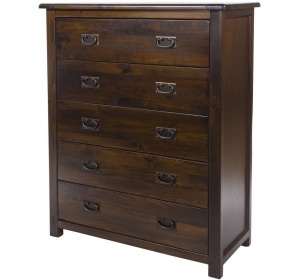 Three plus three drawers are great for finding a home for different items. Wide top is perfect for displaying photographs and ornaments or doubling up as a dressing table if required. Fashionable grey painted cabinet works in harmony with the oak veneer top and metal cup handles. Soft moulding to the top and cut out plinth to the base of the cabinet give this piece a timeless appeal. Constructed from pine and MDF. Natural oak veneer onto solid wood top. 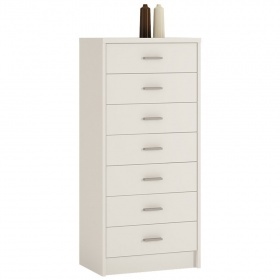 Mix and match with other pieces from the new Bella grey painted with oak veneer tops bedroom furniture range.